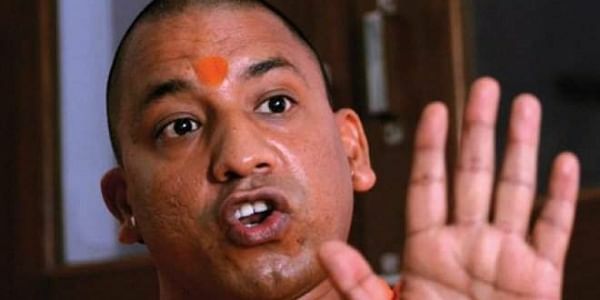 Uttar Pradesh Chief Minister Yogi Adityanath said today that the Congress was "playing" with the faith of the Hindu community over the issue of construction of Ram temple in Ayodhya. AHMEDABAD: Uttar Pradesh Chief Minister Yogi Adityanath said today that the Congress was "playing" with the faith of the Hindu community over the issue of construction of Ram temple in Ayodhya. Reacting to the controversy over senior Congress leader and lawyer Kapil Sibal seeking deferment of hearing on the Ram Janmabhoomi-Babri Masjid title dispute till 2019, he said it amounted to playing with "the Hindu belief". "It is like playing mischievously with the Hindu belief. The Congress will have to clarify whether it wants to see the Ram Mandir constructed in Ayodhya or not," he said. On Rahul Gandhi's claim that he is a devotee of Lord Shiva, Adityanath said the Congress had once denied the existence of Ram Setu, and termed Gandhi's claim as playing with the Hindu faith. "The Congress government at the Centre had tried to demolish the Ram Setu which was built due to the effort of Lord Ram. When the matter was challenged in the Supreme Court, the Congress government had filed an affidavit raising question on the existence of Ram and Krishna," he said. He also advised Gandhi to go to the temple but out of faith and not out of hypocrisy. The BJP leader alleged that Gandhi had once said that "people go to temple to tease women". "Rahul Gandhi should be asked that when he does not believe in Ram, Shiva, Krishna and when he said that people go to temple to tease women, then why do you go to the temple? Nothing wrong in going to temple but do so out of faith and not hypocrisy," he said.